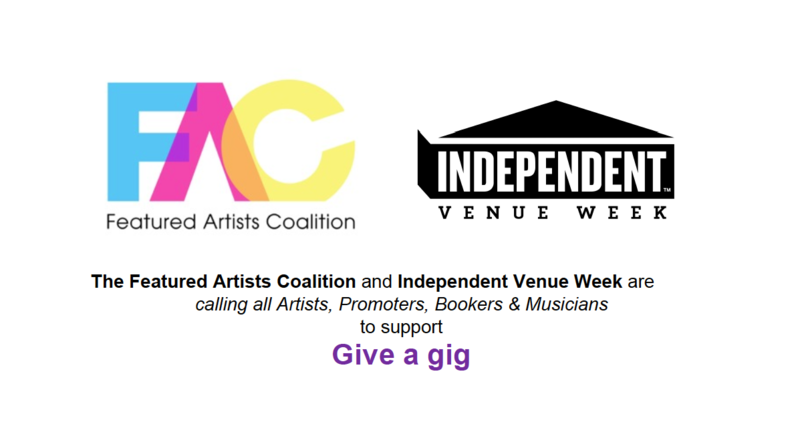 The Featured Artists Coalition and Independent Venue Week are calling all Artists, Promoters, Bookers & Musicians to support Give a gig. Give a gig takes place 16-25 March 2018. You can transform the lives of children and young people by putting on a live music event. From gigs down the pub to arena tours and festivals: any size, any genre, anywhere. Whether you give a cut of ticket sales or merchandise returns, get bucket rattling or empty your pockets – every penny counts!! Give a gig week is an initiative to raise funds for Youth Music, a national charity investing in music-making projects for children and young people in challenging circumstances. Which fundraising ideas will you use?